As the Ottawa Wine & Food Festival moves into the fabulous new convention centre, it also promises to take it up a notch this year. The festival, which now takes place over a full five days (Wednesday, Nov. 9 to Sunday, Nov. 13), offers up hundreds of wines. Indeed, more wines than one palate could possibly assimilate over such a short time frame. So check out the website, see which events intrigue you, and plan your tastings. To my mind, one of the most interesting additions to the show in recent years has been the Ottawa Wine Challenge competition. Ottawa Citizen wine columnist Rod Phillips and Foreign Affairs wine adviser Janet Dorozynski acted as competition chairs, joined by several local and out-of-town wine judges who gathered in late September to blind-taste hundreds of wines. As a member of the panel, I offer my tasting notes on some of the best-of-show winners below. The show has long been known as a great dating occasion. Wine Access magazine offers a new spin on that theme this year with Meet Your Match on Thursday, Nov. 10. 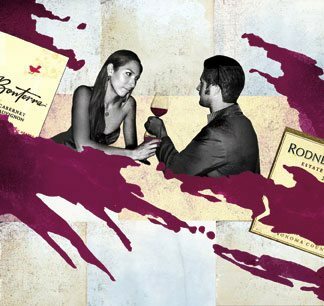 After the magazine unveils the grand winners of the 2011 Canadian Wine Awards (CWA), guests will have eight minutes to “speed date” one-on-one with some of the winning winemakers. Billed as a chance to “get up close and personal and discover first-hand the intimate secrets of some of Canada’s coolest producers. You will find out about their life, loves, and preferences — as it pertains to their best wines.” I will be joining CWA judge Anthony Gismondi that evening. I will also be leading Ontario wine seminars throughout the festival and hanging out at the WineAlign.com booth. For program details and tickets, go to www.ottawawineandfoodshow.com. And if you can’t make it to the show, track down these great best-of-show buys at the LCBO or from the wineries and importers listed. From a new, cool coastal region of Chile, this chardonnay is stylish, elegant, and rich at the same time, with intriguing subtropical yellow pineapple-papaya fruit and a gently applied background of oak spice and butterscotch notes. Shockingly good for $12. Scheduled to debut at the LCBO in late fall. LCBO 230565. Mike Weir wines are made at Château des Charmes, long a leading producer of award-winning rieslings. This one carries on the tradition in a distinctively vibrant yet rich style that emphasizes honeyed apple-peach fruit, petrol, and spice. Finishes dry, with excellent length. Chill well. Try with roast pork. LCBO 229286. I tasted this at the winery in February and was pleasantly surprised by the improvement of the 2010 vintage. It is very well made, cool, vibrant, and well balanced, with green apple and cucumber aromas. An ideal sipping starter white as guests assemble. LCBO 112813. Made by a second pressing of icewine grapes, this Strewn offering is less concentrated than icewine — and much less expensive. It’s quite charming and elegant, with peach pie, lemon, and some grainy complexity. Very stylish and sweet, with good balancing acidity. Chill very well and serve with lemon and cream pastries. LCBO 107219. Now showing some maturity, this is an edgy, powerful, slightly green chardonnay with fresh dill, lemon-peach, and considerable oak smoke. It’s medium-to-full-bodied, with a polished texture, elegance, and impressive depth. Not as ripe as you might expect from chardonnay, but this is very good value. Vintages 1552. The new vintage of Niagara’s best-known baco stays on track (better than 2008), with generous smoky, chocolaty, and nutty oak framing baco’s rootsy beetish/blackberry fruit. It’s full-bodied, fairly dense, and quite tart and vibrant, thanks to 2009 acidity. The tannins are easy enough (baco is not a tannic variety), and the length is very good. Will age best 2012 to 2018. Available through the winery. www.henryofpelham.com. Bonterra is a leading organic producer, and there is a real sense of outdoors and forests in this wine. Good complexity for $20, with meaty clove spice, chocolate, and vibrant blackcurrant/juniper notes. It’s full-bodied, dense, and rugged, if not hugely concentrated. It is also young. Best 2013 to 2016. Decant one hour. Vintages Essential 342428. This vintage seems to break away from Riscal’s old-school style, which was too oaky, soft, and tired. It is quite rich and vibrant, with all kinds of juicy, sour-edged, plummy fruit liberally bathed in smoky, spicy oak, and meaty notes. Not elegant, but very flavourful and great for spicy meat and pasta dishes. LCBO 32656. This mid-weight, rounded, sweetish pinot is California all the way. Look for ripe raspberry-plummy fruit with perfumed and floral notes. It’s medium-bodied, very smooth, and a touch sweet, with a woody note on the finish plus some heat and tannin. Vintages Essentials 954834.